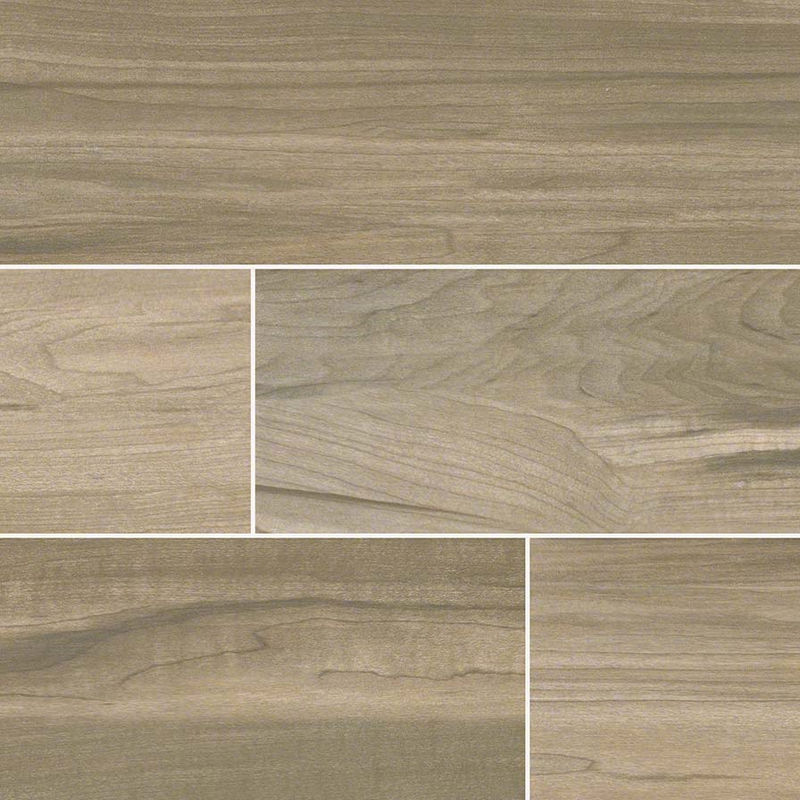 This Carolina Timber Saddle porcelain tile features warm beige tones that works great in any interior space. This ceramic tile gives the wood look without the maintenance of natural hardwood. You can use this tile for floors, walls, and backsplash. 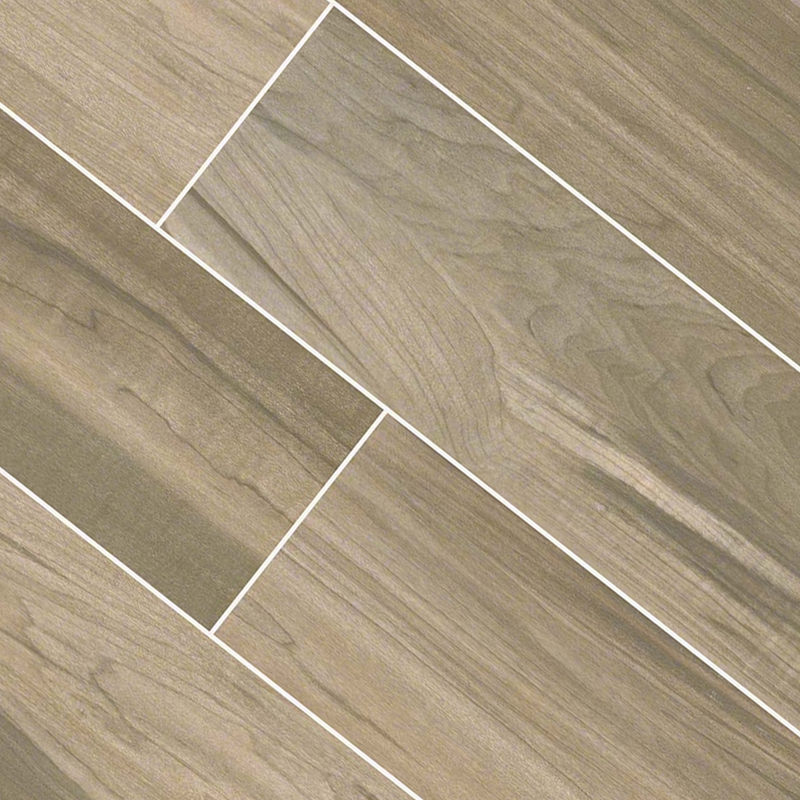 This natural wood-look tile works for both residential and commercial space because of its durability and warm color. Q: what type of edge does this tile have? Thank you for your interest in our material. This item is produced wit ha Rectified straight edge. Should you want to talk to me directly with further questions or to place your order, you are more than welcome to reach me at 714-204-0981.